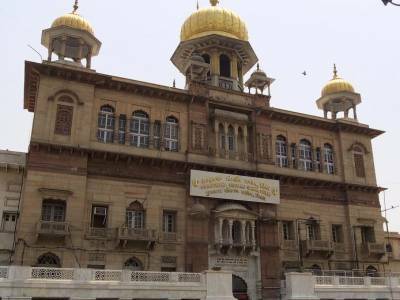 The Gurudwara Sis Ganj Sahib is a historically significant Gurudwara that commemorates the ninth Sikh Guru. 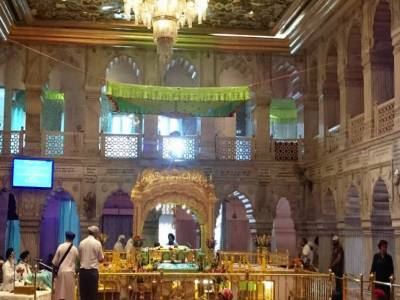 The Guru Tegh Bahadur continued in the spirit of the first guru, Nanak, the 115 poetic hymns authored by him are included in the Guru Granth Sahib. 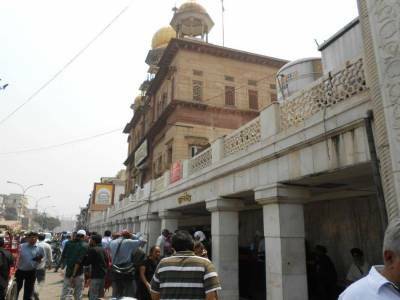 The Gurudwara Sis Ganj Sahib is located in the densely populated area of Chandni Chowk in old Delhi. The Ninth Guru of Sikhism Sri Guru Teg Bahadur sahib ji on the request of kashmiri pandit to save the Hinduism from mughal emperor Aurangzeb who compelled to them to become muslim forcibly. The guru asked kashmiri pandits to tell Aurangzeb that if Guru Teg bahadur adopt Islam we all ready to adopt it and for sake of religion they sacrifice himself at this place and later a gurudwar was buiilt. The trunk of tree under which the Guru was beheaded is also preserved here & the well from which he took bath while in the prison also preserved here. Like all other Sikh Gurudwara's, it's open to people of all faiths and races. There is a cloak room as well where you can safely keep your luggage. You've to enter the Gurudwara bare feet. There is a place where you can deposit your footwear safely & can collect it later. 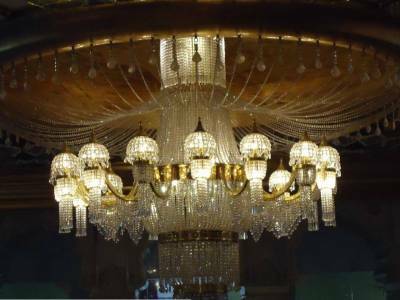 Wash your hands, feet, cover your head with a cloth (they are even provided by in Gurudwara gate) & then you can enter the main hall. Kirtan (Musical Prayers) continues from early morning to till late night. There is a Langar hall where langar is served all day. All devotees and visitors, rich and poor, sit together on the floor in Pangat and have guru ka langar. 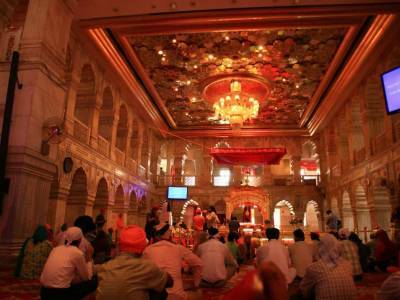 Get quick answers from travelers who visit to Gurudwara Sis Ganj Sahib.